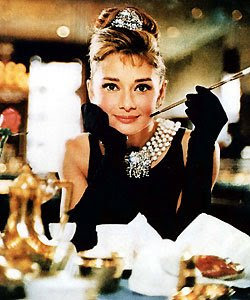 Audrey Hepburn is ranked as the third greatest female star of all time by the American Film Institute. New Women magazine called her the most beautiful woman of all time. She was among the few entertainers who had won Academy, Emmy, Grammy and Tony Awards. She is celebrated for her work in movies such as Sabrina, Funny Face, Breakfast at Tiffany’s, My Fair Lady and Roman Holiday, for which she won the Academy Award for Best Actress. She had the reputation of being a humble, kind and charming person, who lived the philosophy of putting others before herself. She also became a part of the Dutch Resistance during World War II. Hepburn was born on May 4, 1929 at number 48 Rue Keyenveld in Ixelles, a municipality in Brussels, Belgium. Her father was Joseph Victor Anthony Ruston, a British subject and Anglo-Irish banker. Her mother was Baroness Ella van Heemstra, a Dutch aristocrat and a descended from French and English kings. Ella’s father was Aarnoud Jan Anne Aleid, Baron van Heemstra. From 1910 to 1920, he was mayor of Arnhem and served as Governor of Dutch Suriname in northern South America from 1921 to1928. Ella’s mother was Elbrig Willemine Henriette, Baroness van Asbeck. Hepburn’s mother and father married in the Dutch-Colonial Batavia (now Jakarta), Dutch East Indies in Sept. 1926. This was her mother’s second marriage. They moved back to Europe in 1926 and resettled in Ixelles in Belgium, where Hepburn was born in 1929, before moving to Linkebeek, a nearby Brussels municipality, in January 1932. Because of her father’s work, she spent her childhood bouncing between Belgium, England and the Netherlands. Because of her multinational background and travelling with her family because of her father’s job, she learned to speak five languages: Dutch and English from her parents and later French, Spanish, and Italian. She also began studying ballet when she was five years old, hoping one day to be a world-renowned ballet dancer. In 1935, when she was six-years-old, the marriage between her parents hit a rocky bottom after her mother discovered her father in bed with the nanny of her children, resulting in her father leaving the family abruptly. Two years later in 1937, Ella and eight-year-old Audrey moved to Kent, South East England, where Hepburn was educated at a small school in Elham, run by two sisters known as the “The Mesdemoiselles Smith.” But in September 1939, Hitler invaded Poland. All at once, England was no longer a safe place for a little girl, as it had declared war on Germany. At her mother’s request, Audrey’s father scooped up Audrey from her school and put her on a plane to Holland, which intended to stay neutral in the war with Germany and was considered a safe place for riding out the conflict. It was May 9, 1940, and Audrey Kathleen Hepburn had just turned eleven-years-old. She was living in Holland with her mother, her two older half-brothers, Ian and Alex, and other relatives. Her father lived in London. Her parents were now divorced. To celebrate Audrey’s birthday, her mother, had bought tickets for her and Audrey to see a performance by the great English dance troupe, ‘The Sadler’s Wells Ballet.’ The company was touring Holland, France, and Belgium. Audrey’s town of Arnhem was to be one of their stops. The evening finally arrived. Audrey wore her beautiful new long dress and got to see the famous Margot Fonteyn dance in “Horoscope” and “Facade” by choreographer Frederick Ashton. 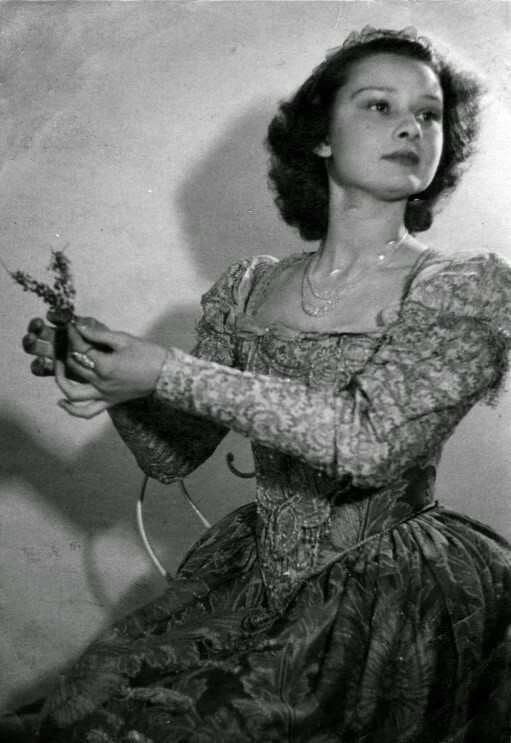 Afterwards, Audrey’s mother took the stage and gave a formal thanks to the troupe first in Dutch, then in English. Next was Audrey’s big moment. To her surprise, her bouquet of tulips and roses was hurriedly accepted. A quick supper followed, as the dancers hustled about afterward, gathering up their props and costumes, to get on their bus to leave Arnhem that very evening. The dancers didn’t want to get stuck in Holland if the Germans did attack and closed off the borders. That night, as Audrey slept, the Germans invaded Holland, Belgium, and Luxembourg. The Dutch were totally shocked. They never dreamed Hitler would attack them, his “Dutch cousins.” Just the night before, Hitler had made a radio broadcast, promising to all who listened that he had no plans whatsoever of attacking Holland. For five days, the Germans came down on the Dutch with the force of Hell. They never bothered issuing a formal declaration of war either. Incendiary bombs were dropped on The Hague. Nazi troops tore through Audrey’s town of Arnhem, looting and despoiling as they pleased. The Germans threatened to bomb every Dutch city until they were demolished until Holland surrendered. The Dutch military, though terribly outnumbered, fought back anyway, but they were no match for the conquering horde, and were forced to surrender. After five days, Holland capitulated. It would be occupied by the Nazis for five very long years. Young Audrey watched her Jewish neighbor being herded into trucks, men into one truck, women into another, babies into another. “We did not yet know that they were going to their death,” she remembered. 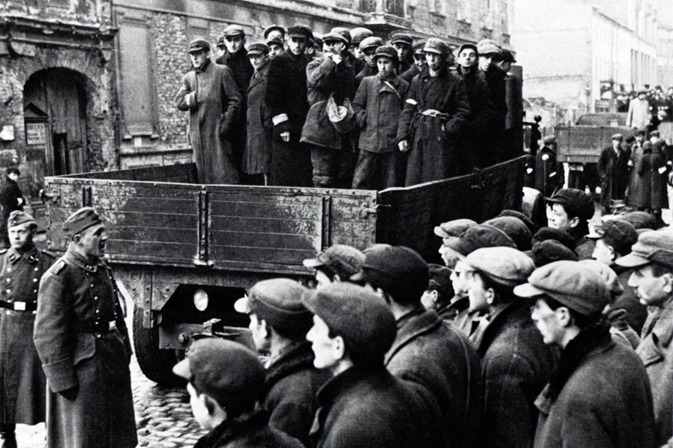 Over the next ten months, the van Heemstra bank accounts, securities, and jewelry would be confiscated by the Nazis. Rations were imposed on food and fuel which were soon in short supply for the suffering Dutch people. Food became completely nonexistent during the Hunger Winter of 1944 as the Germans cut off all imports of foods to punish the Dutch Resistance that fought back against the Nazis from inside Holland. The German occupiers also spread anti-English sentiment, banning the import of British jams and biscuits and outlawing the Girl and Boy Scouts. The Germans hoped they could whip the Dutch into a hatred for the English and recruit them in the battle against Britain. With the Nazis cracking down on the English, the Baroness was worried. 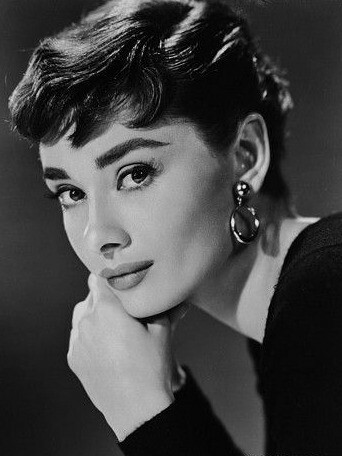 Audrey Hepburn was an English name and Audrey spoke English. She carried a British passport. Quickly, Audrey’s mother gave her a new identity as a little Dutch girl. For the war years, the Baroness changed her daughter’s name to Edda van Heemstra. Audrey – now Edda – took Dutch language lessons so she could pass as Dutch and not be arrested for being English. Audrey did not risk speaking English for the rest of the war. In 1942, Hepburn’s uncle, Otto van Limburg Stirum (husband of her mother’s older sister, Miesje), was executed in retaliation for an act of sabotage by the resistance movement, while Hepburn’s half-brother Ian was deported to Berlin to work in a German labor camp. Hepburn’s other half-brother Alex went into hiding to avoid the same fate. “We saw young men put against the wall and shot, and they’d close the street and then open it and you could pass by again. Don’t discount anything awful you hear or read about the Nazis. It’s worse than you could ever imagine,” Audrey recalled. It was at these “black performances” where the audiences gave the young performers money and folded message to be stuffed into the children’s shoes and transported the next day to resistance workers. There was little doubt in Audrey’s mind that had she been discovered doing either of these things, a swift execution would have followed. After the Allied landing on D-Day on June 6, 1944, living conditions grew worse. In mid-September 1944, it grew even worse during Operation Market Garden as British and American paratroopers and ground forces moved toward a heavily damaged Arnhem. Operation Market Garden was a failure and the allied forces withdrew from the city of Arnhem. The van Heemstra family was also seriously financially affected by the occupation, during which many of their properties, including their principal estate in Arnhem, were badly damaged or destroyed. Baroness Ella, Miesje, and Hepburn left Arnhem and moved in with Baron Aarnoud van Heemstra in nearby Velp. Fifteen-year-old Audrey Hepburn had been hovering close to death for months, sick with jaundice, her legs and feet swollen from edema caused by malnutrition, so weak with hunger that she could barely climb the stairs in her grandfather’s home, just outside Arnhem. But in April 1945 as the fighting came closer, she and her family took refuge in the cellar as the Germans and Allies fought from house to house. “Occasionally, you’d go up and see how much of your house was left, and then you’d go back under again,” she remembered. Then on the morning of April 29, the shelling and shooting stopped. Audrey heard voices and singing, and smelt English cigarettes. She crept upstairs and opened the front door to find the house surrounded by English soldiers all aiming their guns at her. Hepburn said she screamed with happiness, seeing all these “cocky figures with dirty bright faces and shouted something in English, a cheer went up that they’d liberated an English girl.” That day, sixteen-year-old Audrey Hepburn only weighed 88 pounds. When the Allies liberated the Netherlands in May 1945, United Nations Relief and Rehabilitation Administration aid arrived providing much needed relief. Hepburn witnessed first-hand the transforming impact international aid agencies can have on suffering regions. As a result, she developed a life-long devotion to the United Nations Children’s Fund (UNICEF). 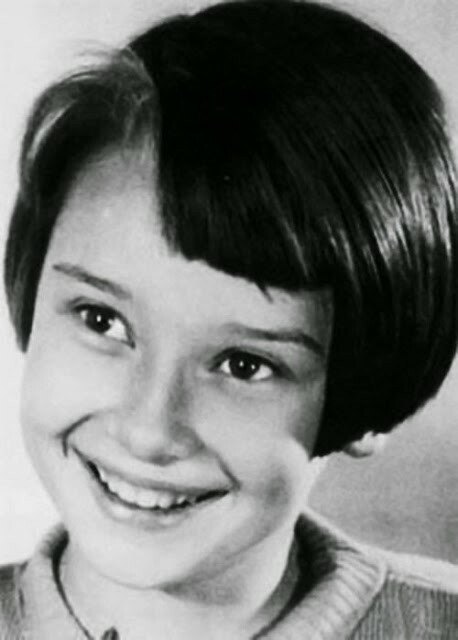 Audrey served as Goodwill Ambassador for United Nations International Children’s Emergency Fund (UNICEF), from 1988 until her untimely death in January 1993. Through her work with UNICEF, she used her image and the great interest people had in her to attract world attention to her cause, but also of repaying the United Nations for rescuing her from starvation in 1945 Holland. Audrey’s movie career took a back seat to her work for UNICEF which proved more meaningful to her than restarting her acting career. Audrey represented the agency in many capacities, not only appearing at public occasions to support the good cause of UNICEF but also traveling widely to the world’s trouble spots to assess the situation of children. Upon returning from Somalia to Switzerland in late September 1992, Hepburn began suffering from abdominal pain. While initial medical tests in Switzerland had inconclusive results, a laparoscopy performed at the Cedars-Sinai Medical Center in Los Angeles in early November revealed a rare form of abdominal cancer belonging to a group of cancers known as pseudomyxoma peritonei. Hepburn and her family returned home to Switzerland to celebrate her last Christmas. 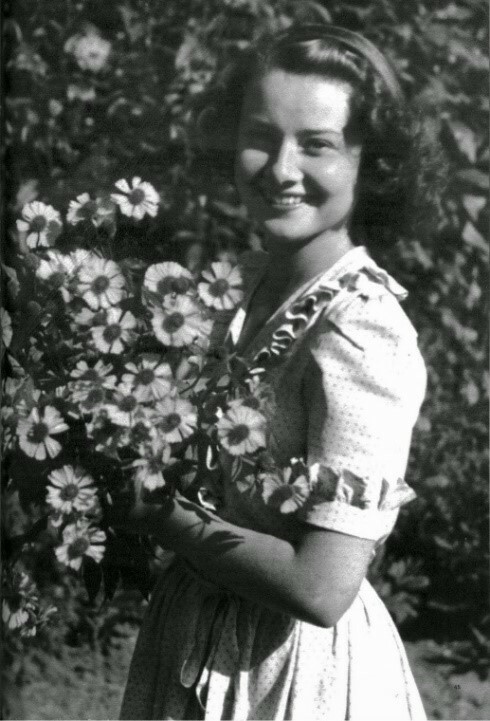 She spent her last days in hospice care at her home in Tolochenaz, Vaud and was occasionally well enough to take walks in her garden, but gradually became more confined to bedrest. On the evening of 20 January 1993, Hepburn died in her sleep at home. She was interred at the Tolochenaz Cemetery. Audrey Hepburn’s legacy as an actress and a personality has endured long after her death. She stands as one of few entertainers who have won an Oscar, Emmy, Grammy and Tony Awards. She won a record three BAFTA Awards for Best British Actress in a Leading Role. In her last years, she remained a visible presence in the film world. She received a tribute from the Film Society of Lincoln Center in 1991 and was a frequent presenter at the Academy Awards. She received the BAFTA Lifetime Achievement Award in 1992. She was the recipient of numerous posthumous awards including the 1993 Jean Hersholt Humanitarian Award and competitive Grammy and Emmy Awards. She has been the subject of many biographies since her death and the 2000 dramatization of her life titled “The Audrey Hepburn Story” which starred Jennifer Love Hewitt and Emmy Rossum as the older and younger Hepburn respectively. 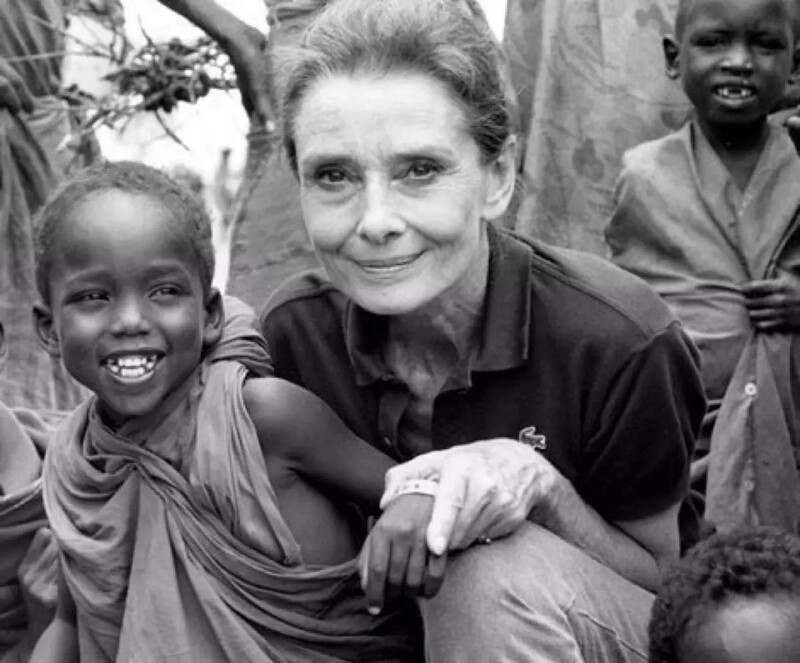 The film concludes with real photos of Audrey Hepburn, shot during one of her final missions for UNICEF. Should I address this to “dianeshort2014” or LTC Christy? What is your source for this speech of 9 May 1940?